Reiki energy work is a healing touch. It’s a series of hand placements in a relaxing, soothing environment. It’s a natural response to touch a part of our body when we are in pain. We grab our stomach when we have digestion issues and cradle our heads when we have a headache. When we see someone we love in pain, we instinctually want to soothe them with a touch. We might want to give them a hug or pat on the shoulder. It’s more socially acceptable to be physically ill then emotionally ill. So, when you ignore your emotions and don’t give them an outlet, it can manifest itself into illnesses. Illness is the body’s way to force trauma out so the body can try and heal itself. You can have trauma in your body from day-to-day, physical, emotional, or mental stress. Trauma gets stuck in your body’s energetic field (aura) and sometimes your body’s energy centers (chakras). It’s difficult for your body to heal when you have trauma stuck in your body. 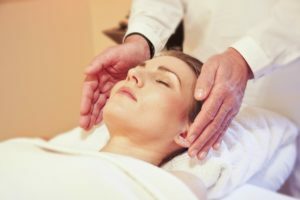 During a Reiki session, you’ll lay clothed on a table in a room with relaxing music and dimmed lights. 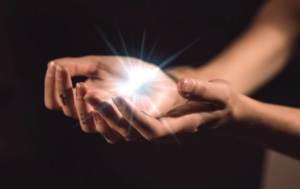 Once you are in a relaxed state, the Reiki practitioner will do a hands-off sweep to remove any energy that no longer serves your body’s energy center (chakras). Afterward, the practitioner will perform a series of gentle Reiki hand placements to allow your body to balance its energy. Finally, after a hands-off energetic sweep of your aura and a seal of the Reiki energy, you’ll receive a summary of the session. Francisca Hernandez is a Level II Reiki Practitioner. She is a creative, intuitive, and passionate soul. She became interested in Reiki after a period of questioning everything. Before Reiki, meditation, and mindfulness, Francisca was always sick. Reiki allowed her to clear her energy and work through some pent-up trauma. She is hardly ever ill now. She trusts her intuition to guide her in Reiki sessions. "Before going into my session with Francisca, I was very tense and anxious; however, once I entered the room, I felt relaxed and at ease. Francisca guided me through my session and in the end, gave me a summary. After my session, I felt a sense of relief and clarity."